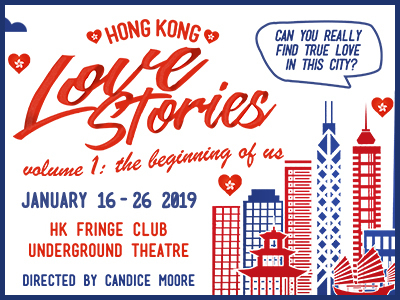 Use code THREEISCOMPANY for purchases of 3 or more General Adults tickets to get a HKD80 per ticket discount! Is it possible to find true love in Hong Kong? Mimi and Freddy have never met, but are alike in many ways. Both are hopeless romantics who haven’t had much luck as singles in Hong Kong, but are still holding out for someone special to come along. By coincidence, their respective best friends make it their mission to arrange blind dates for them. What follows is a back and forth account of their comical misadventures, enduring one bad date after another, as they search for true love in the city. By Sweet and Sour Productions Ltd. Directed by Candice Moore. Written by Jay Christopher. 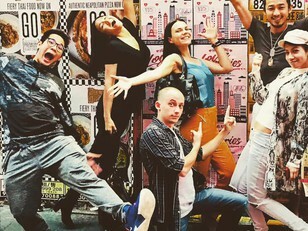 Starring Marsha Yuan, Vincent Chiu, Catherine Fu, Hamish Campbell, Samuel Craig, Onnie Chan, Marc Ngan, and Kristina Pakhomova. Part of proceeds go to Hong Kong Dog Rescue.